Conservationists have applauded the decision of the Bolivian national government to declare the Blue-throated Macaw a national heritage species. “We are delighted because the national government is showing a strong interest in conservation work in Beni to conserve the Blue-throated Macaw,” said Bennett Hennessey, Executive Director of Asociación Armonía, the Bolivian conservation partner of World Land Trust (WLT). WLT has been funding conservation of the Blue-throated Macaw in Barba Azul Nature Reserve since 2009. The Trust is currently supporting the employment of wildlife ranger Rene Cartagena. The Motacu Palm (Attalea phalerata) trees on the forest islands of Beni provide the most important foraging ground and roosting area for Blue-throated Macaw. The palms may also offer nesting sites in the future, if the conditions are right. However on many islands there has been no Motacu Palm regeneration for the past 100-150 years because of cattle grazing. Asociación Armonía conducted a survey of Motacu Palms in July 2014. This was then followed up by a study carried out by Glasgow University in August 2014. Their findings revealed the scale of the problem. Of 364 trees studied on 13 forest islands in the Rio Tiniji area of the reserve, 360 are estimated to be at least 100 years old (possibly even up to 150 years old). But there is a startling lack of new growth: just four of the palm trees surveyed are less than 10 years old (1 per cent of the total). “Plant life on the palm islands is being all but destroyed by grazing cattle. On some islands the ground has no plant life at all, on others there is a low level of grass, but motacu saplings with more than three leaves are rare. We did not observe a single hole large enough that a macaw could use as a nest cavity,” said Bennett. Bennett is already implementing plans to protect the islands. “The palms will only regenerate if cattle are kept away from them and, thanks to the support of WLT’s Keepers of the Wild programme in 2015, we shall be protecting the islands by putting up fences and making regular patrols,” he said. As well as taking steps to allow the palms to regenerate, Bennett and Rene have installed 36 nest boxes on the reserve. Blue-throated Macaw breed between November and March, so it will be clear by the end of 2015 if any macaws have used the nest boxes. Although recognising that it may be years before the macaws use the boxes, Bennett remains convinced that the survival of the Blue-throated Macaw depends on the reserve becoming a nesting site for the species. 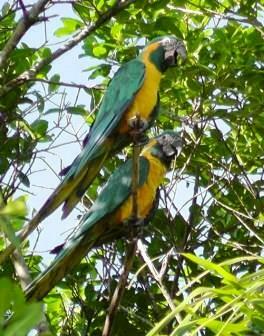 “If Blue-throated Macaws breed in nesting boxes in Barba Azul, then we can save the species from extinction. 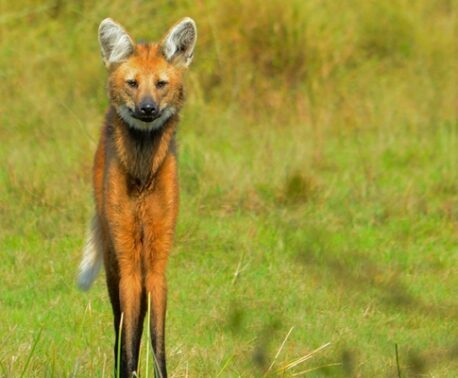 The savanna of Brazil is being devastated because of corporate industrial farming and, if the same happens to the Beni savanna, our little oasis could hold everything necessary to keep a population alive,” said Bennett. The designation of the Blue-throated Macaw as a national heritage species was legalised on 7 October 2014. WLT is supporting a regeneration programme for the Motacu Palm Tree in Beni in 2015 with funding from the Action Fund. 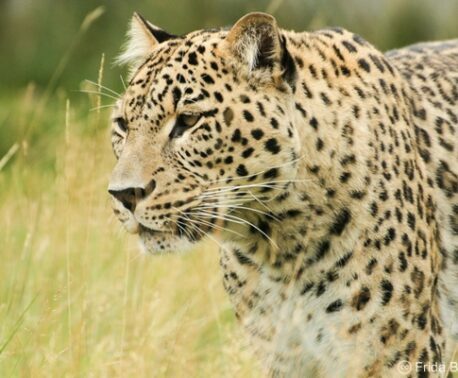 You can support ongoing conservation in Beni, by donating to Keepers of the Wild.